Place pie crust in a pie plate and crimp the edges as desired. 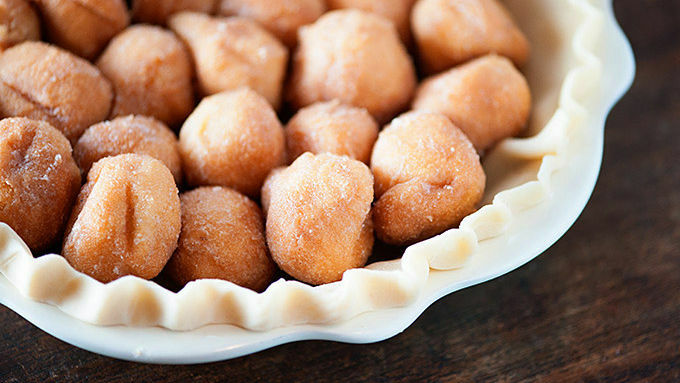 Place the donut holes into the pie plate in a single layer. Press in as many donut holes as possible so the crust is full of donut holes. Whisk together the melted butter, eggs, brown sugar, cinnamon, nutmeg and vanilla. 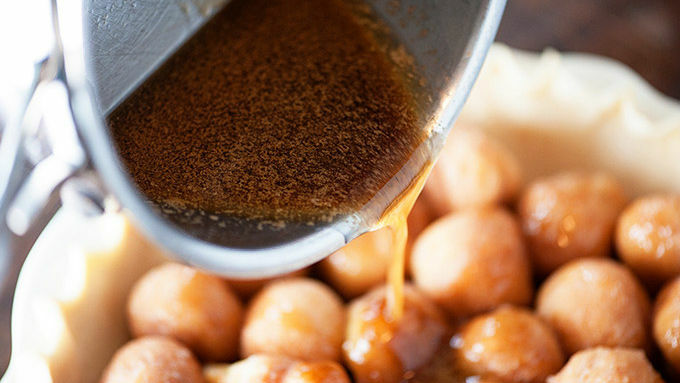 Pour over the donut holes. Bake for 25 minutes or until golden brown and bubbly. To make the glaze, whisk together the powdered sugar and milk. Drizzle over the pie. Top with sprinkles, as desired. Use more or less milk in the glaze to make it thinner or thicker, depending on your preference. Give this a try with chocolate donut holes, too! This pie is filled with donut holes and drizzled with a homemade glaze! You're welcome. Is it breakfast? Is it dessert? Whatever it is, it's amazing. Stop for a moment and look around. Is this really what you want to be doing with your life? Is this really all there is? Nope. There’s more. 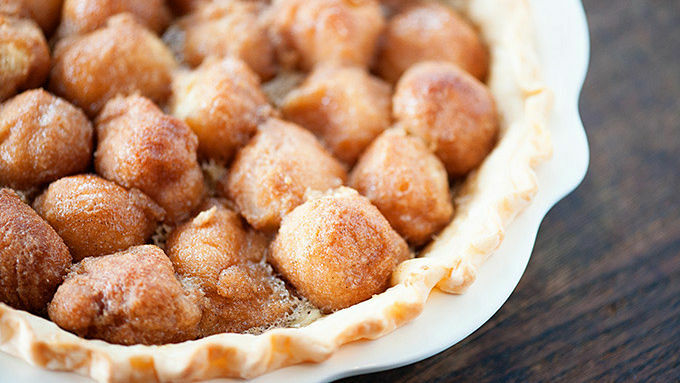 There is, my friends, a pie made of glazed donut holes and it is waiting for you, calling for you, loving you from afar. You need to get with this pie, like immediately. 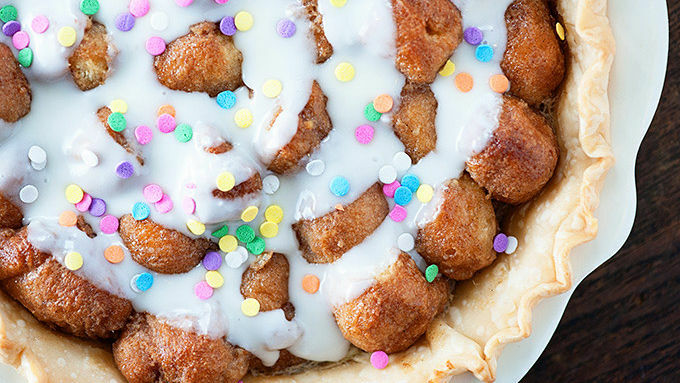 Who should we thank for this majestic marriage of donuts and pie? The Domestic Rebel, naturally. She comes up with the best/craziest treats around. I don’t know if this is breakfast or dessert and I don’t care. I’m eating it for lunch, because I do what I want. 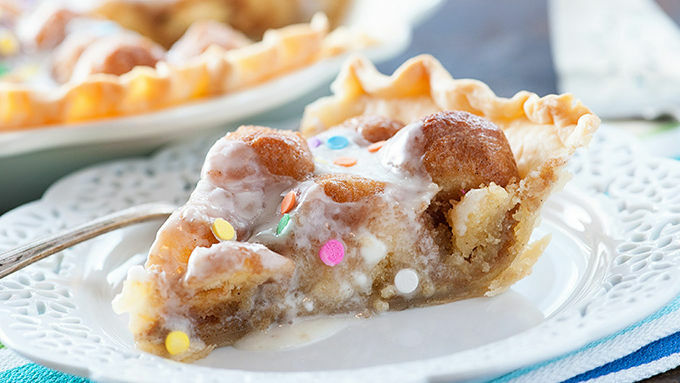 Drizzled with glorious glaze over the top, and showered with a good handful of sprinkles, you absolutely need to post a photo to Instagram of your pie – because if you didn’t Instagram it, it didn’t happen. Right? Feel free to adjust the recipe as you see fit. Use more or less milk in the glaze to make it thinner or thicker, depending on your preference. Or give this a try with chocolate donut holes, too! Now, dig in. Hello, breakfast. And lunch. And maybe dinner, too.